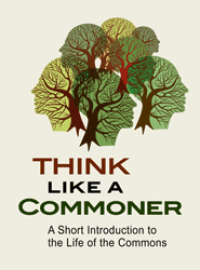 My former colleague at On the Commons, Jay Walljasper, has pulled together a rich array of stories, short essays, profiles and other found gems in a new book, All That We Share: A Field Guide to the Commons (New Press, 2010). 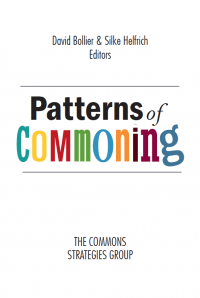 It’s an especially useful introduction for newcomers to the commons, but it valuable to others as well. 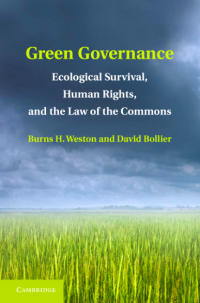 The book explains the basics of what is the commons, why they matter now, and how they provide practical alternatives or complements to existing market systems. All That We Share covers everything from the enclosures of urban spaces and information to water and nature, as well as a slew of inspiring models for the future. There’s the story of Mark Lakeman’s work in reviving neighborhood squares in Portland, Oregon, and Jesús León Santos leadership in re-introducing indigenous farming techniques to Mexico, which is helping stop erosion and improve water flows. There’s the story of North Dakota’s state-owned bank, which has made affordable credit available to its citizens; the Alaska Permanent Fund that channels dividends from oil drilling revenues to every citizen in Alaska; and the remarkable improvements to public transit and schools that Mayor Enrique Peñalosa brought to Bogotá, Colombia. I confess I’m not the best reviewer of All That We Share because I have several excerpts of my own in it and because Jay’s a friend. 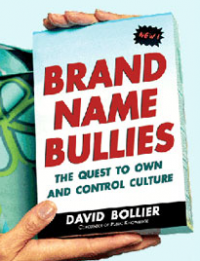 But let the volume speak for itself: it features such illustrious contributors as Robert Reich, Jeremy Rifkin, Peter Barnes, Peter Linebaugh, Mark Dowie, Winona LaDuke, Robert F. Kennedy, Jr., and Lewis Hyde, among others. 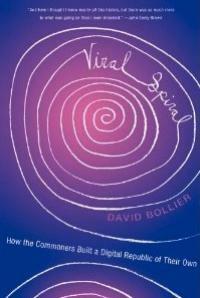 It puts a human face on the dozens of different realms in which commoners are making a difference, and tells their stories in an accessible way. 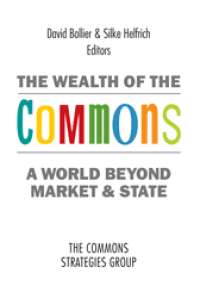 A wealth of commons-based innovations is reconstructing a battered world. Read all about it.